We hope that you are managing to keep cool this weekend. We will be sitting outdoors in a shady spot, soaking up potential Book Box Club featured reads. When reading is at the top of your to-do list, you definitely can’t complain about working at the weekend! With the excitement of our July Witchcraft boxes, we almost forgot to show you all of the amazing goodies that we crammed into our May Stargazers box! We had so much fun putting the May box together because both of us LOVE anything to do with the cosmos. As always, we’d like to say a massive thank you to all of the talented people who helped to make this box a reality. The Queens of Innis Lear by Tessa Gratton: The destiny of a decaying kingdom lies in the hands of a prophecy-obsessed king. As the monarch fades, which of his three fierce daughters will claim the crown? And will the new Queen be able to save Innis Lear from what has already been written in the stars? Gaze into our mesmerising May book and find out! Clubhouse Invite: Join us in our star-studded online Clubhouse for an unashamedly bookish chat. Meet Tessa Gratton and ask her your questions about her brilliant book and make new friends with your fellow Book Box Club members! Shakespeare’s Mirror by Book Box Club: A nod to the literary genius who inspired our featured read. Take advice from the Bard and don’t be prey to prophecy! Look in our exclusive Book Box Club mirror and remember who rules your destiny! Bookish goodies: A few little extras. Check out these awesome new YA reads from our friends at Bloomsbury and Penguin Random House. Thank you to @poppindaa, @faefolkreads, @booklepuff, @marinable.books, @getmealibrary, @rosyclovesyreads, @_shonashoe and @just_keep_chasing_pages for these stunning photos. So that’s it folks! What was your favourite item this month? 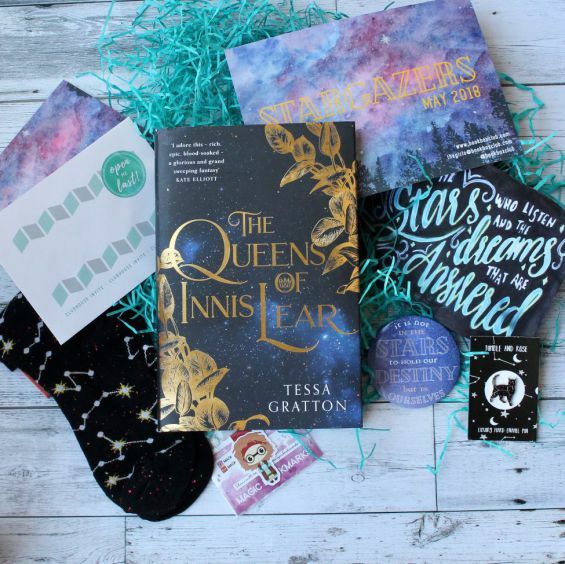 Has anyone managed to finish the epic Queens of Innis Lear yet? We’d love to hear what you think about it! If you missed out on our May box and you would like to join our club, we only have a hand full of July Witchcraft boxes left so you had better hurry! July WITCHCRAFT boxes and Purely Books parcels are available from our website NOW! – A hardback book about modern day witchcraft and magical war. -An invitation to our exclusive Clubhouse book group. -An exclusive candle created by Madame Fiction. -An exclusive illustrated item by Tea Cake Art. -And lots more bookish goodies celebrating our favourite magical main characters and made for us by a dream team of crafty people. P.S. We almost forgot. We have something else to share with you… An exciting sneak peek at our BEAUTIFUL new box! Just LOOK at it! We are so thrilled to announce that our sweet old brown cardboard boxes are a thing of the past. Introducing the new-look Book Box Club boxes! 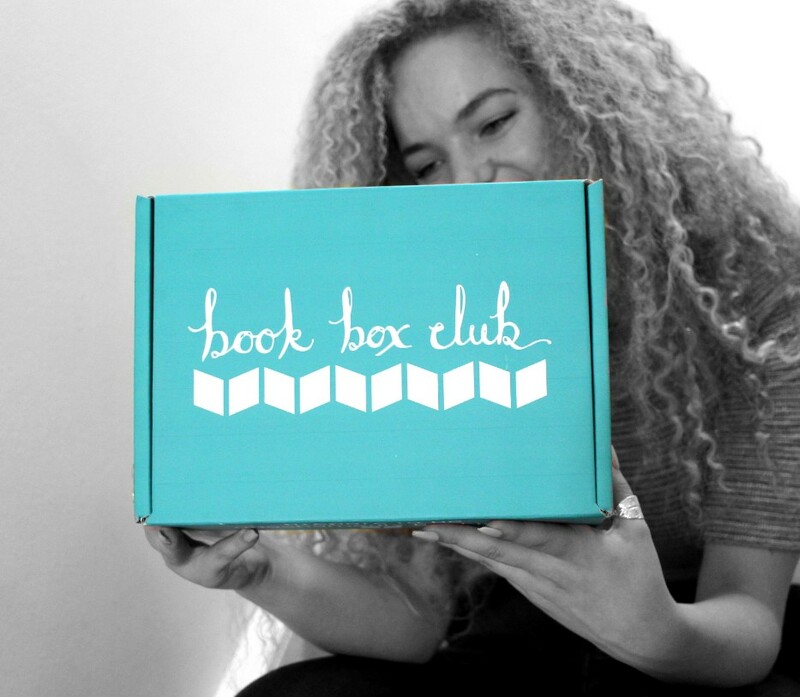 From now on, all of your future Book Box Club boxes will be shiny and turquoise! We’ve been planning our new boxes for forever and we are so proud of how they’ve turned out. We can’t wait to see all of your July unboxing photos featuring this beauty! What do you guys think :)?